A NY style hot dog sauce that’s killing it and making mouths water everywhere, from Rhode Island to Philadelphia! Follow this simple recipe and you’ll make mouths water at home with this cook. You start out by throwing the ground beef in a cold skillet with 2 cups of water over medium heat, and brown your beef. Then drain the water and any grease that collects in the skillet. Next you throw 4 all-beef hot dog Frankfurt wieners in your food processor, and grind them up nicely. Then place a cooking pot with 8 cups of water over a medium high heat. Add the processed frankfurters and browned ground beef, as well as white vinegar, paprika, chili powder, sea salt, onion powder, oregano, white pepper, cinnamon, crushed red pepper and black pepper . Finally, simply stir to get everything mixed up nicely. Bring the mix to a boil, then bring down the heat and let it simmer for 45 minutes. When it has reduced enough, gradually stir in the cornstarch and bring back to a boil. Finally, taste for seasoning and adjust per your taste. At this point you’re ready to put together you’re mouthwatering dogs. Then you’ll want to steam or grill the hot dogs and hot dog buns. Place one hot dog in each bun, then add some yellow mustard. 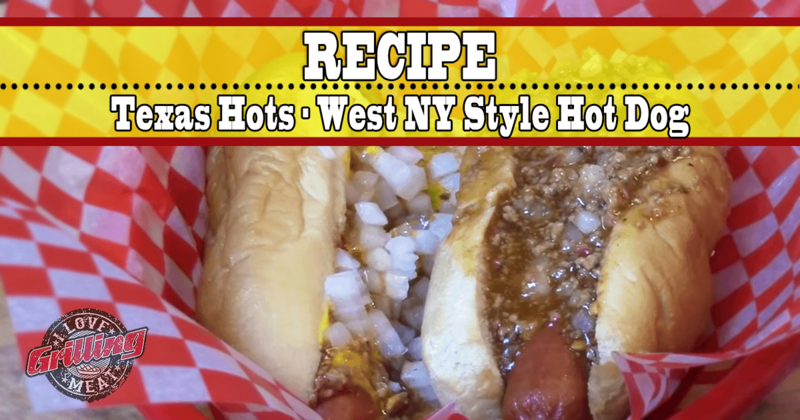 Finally, you’ll finish it off with the homemade NY style hot dog sauce and top off with minced onion. Hey to all my ILOVE GRILLING MEAT suppoterLook for me to make these Hot Dogs and post them on U Tube. I look forward for your support. In my endeavor to win the Challenge. Yes Romey! Looking forward to seeing your cooks in the private VIP group forum!